Price includes shipping cost of $0.00. Nick gets straight to the point, providing the exact steps he takes in own business. The information provided is clear and direct. 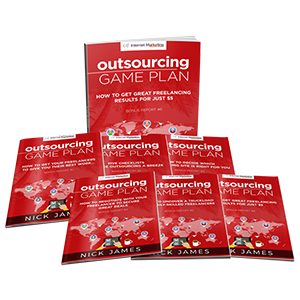 Nick James is a true inspiration to every business owner or budding new entrepreneur. It's no surprise that recently Nick won 'Internet Marketer Of The Year' as voted for by over 200 other business leaders and full time marketers. What he teaches simply works and he has a wonderful way of explaining how you can implement his ideas quickly and simply. Nick's marketing methods are truly inspirational. You can't go far wrong if you stick to these principles and strategies, which is exactly why I believe you should read this from cover to cover. This product is created and sold by Nick James, the product's vendor.